Diana Vernon, Frank becomes involved in he conspiracy surrounding the disastrous Jacobite rising of 1715. His adventures take him to `MacGregor's country', across the Highland Line, where he finds cruelty, heartbreak, and some unlikely friends. 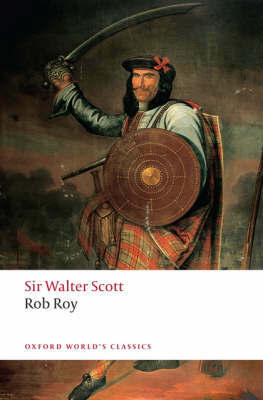 By turns thrilling and comic, Rob Roy contains Scott's most sophisticated treatment of the Scottish Highlands as an imaginary space where the modern and the primitive come together. Newly edited from the `Magnum Opus' text of 1830, this edition includes full explanatory notes and a critical introduction exploring the originality and complexity of Scott's achievement. Ian Duncan is Barbara and Carlisle Moore Professor of English at the University of Oregon.